On the surface, customer segmentation breaks your list down into groups allowing you to customize your message to your customer. Going a layer deeper customer segmentation starts with the research on your different groups of customers resulting not only in targeted and relevant offers but also new products or services your list would scramble to buy. Over the years, I’ve had the opportunity (and invested the money) to be mentored by and learn from some of the top online marketing experts. One of them being Ryan Levesque and his ASK Method® Methodology. With such influences, both as an ASK Method® student and business analytics consultant, I’ve blended Ryan’s teachings with my own experiences from Fortune 100 and 500 companies to create my Customer Segmentation Tool. This is my go to resource for uncovering missed opportunities and improvements when working with my client’s. Demographic will look at things like their age, gender, where they’re located, income and education. 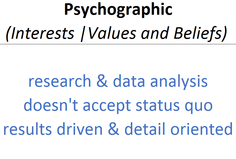 Psychographic will take into consideration what their beliefs, interests and values are. Behavioral examines their associations and followings. For example, when a potential customer comes to your website you can see what links they are clicking on to engage with your content and which articles or downloads are the most popular. If you’re running paid ads you’d look at which ones get the most click through and/or comments. Now feedback splinters into positive, negative and gaps. Gaps can be things your customer wishes for or really doesn’t like about a particular offer, product or service. 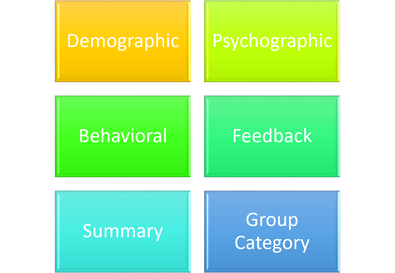 Based on Ryan’s ASK Method® Methodology looking at the responses you’ve collected will allow you to figure out which feedback group they belong to. The summary usually has the active thoughts or key takeaways from the response being reviewed by the person putting together and collecting all the data. Finally, the group category provides a way to group or classify the received responses to allow for targeted messaging. Segmentation isn’t usually viewed as the sexiest side of business but I guarantee when analyzed and implemented correctly your business will experience better, more informed decision making which will lead to a clearer understanding of your best customer making your business more profitable than your competitors. So how will you segment?